How much would you have to invest to do it? And would that investment even be worthwhile? After all, playing the lottery is meant to be fun and winning a substantial amount would be even sweeter if you only forked out a few bucks. Nevertheless, it’s an interesting question, so we delved deeper to see if we could find out just how many lottery tickets you would need to guarantee a jackpot win. To win the US Powerball and the Mega Millions lottery you need to purchase a ticket, unlike sweepstake games. A player selects a combination of numbers on a play block and if their chosen numbers match those drawn in the draw they win. This means that the chances of winning are fixed and aren't influenced by how many people buy tickets. As there are a fixed number of lottery combinations, a very determined lottery player with enough money at their disposal could buy every single possible combination and guarantee a jackpot win. If we take a look at the US Powerball lotto game, for example, to win the jackpot, you need to have a lottery ticket with the correct combination of five white balls and the red Powerball. Next, you have 69 possible numbers for the white balls and 26 possible results for the Powerball. This is where the odds come into play. Picking that perfect combination with a single ticket is one in 292,201,338. For Powerball lottery players purchasing tickets at their local store, they will pay $2 a ticket. This means that if they buy all the possible combinations, they will have to spend $584,402,676. Just like the Powerball lottery, players can also guarantee a jackpot win for Mega Millions. 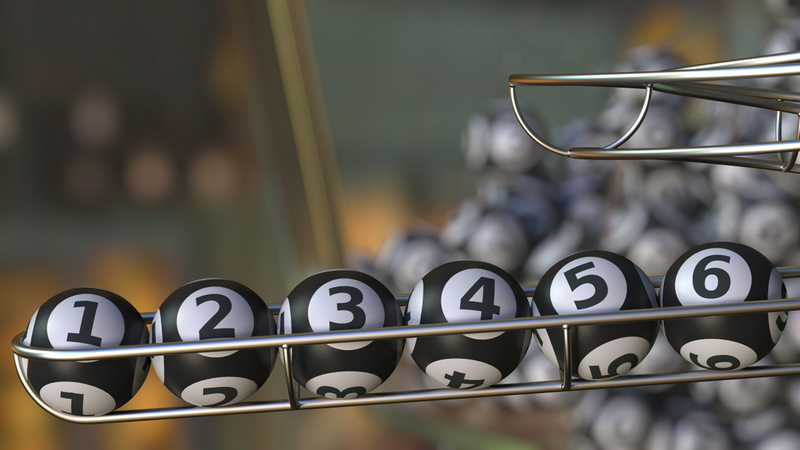 For Mega Millions, you need to have a lottery ticket with the correct combination of five white balls and the Mega Ball. The five white balls have possible numbers ranging between 1 and 70, while the Mega Ball can be between 1 and 25. That means you need to cover 302,575,350 combinations to guarantee a jackpot. Mega Millions tickets cost $2 each so covering all combinations would cost $605,150,700. It takes a huge amount of money to cover all the possible combinations. Not everyone is inclined to take the chance. The next problem is the actual physical activity of buying millions of lottery tickets and filling them out by hand. This physical activity will need to be done to very carefully and systematically make sure that every possible combination is purchased. Buying computer-generated random Quickpicks will not work. If you for argument’s sake got 232,321 people to help you fill out tickets, each person would need to buy 1,302 Mega Millions tickets to cover all the combinations. Filling them in would take just over 10 hours a day for three days buying and filling out tickets at a pace of 43 tickets an hour. Even though we are now seeing American lottery jackpots that would outstrip what you need to pay for all the combinations, like Powerball's biggest jackpot to date totalling $1.5 billion (tripling your investment) you might not be the only jackpot winner. The problem is that while you can guarantee winning the jackpot, you can't guarantee that you will come out with a profit. To do so, you would have to be the only winner. Like we said you might end up sharing the jackpot with another lottery player who more than likely bought a single Quickpick ticket while picking up a soda. We saw this happen with the $1.5b Powerball jackpot when three tickets split the top jackpot prize. This means that the $1.5 billion divided by three winning tickets would have brought the value of the prize below the $584,402,676 in ticket combinations you would have had to pay to guarantee the win. Another fact to consider is that you will then have to pay taxes on your win. You will also have to decide whether or not you will take the once- off lump sum cash payout or the annuity payout. To receive the full jackpot amount you played for you will need to take the annuity payout. But, in order to receive the full amount you will have to wait 30 years until you see your return on investment. So, bearing this in mind, it’s clear that there are many other ways to invest half a million that would be more liquid. If you opt to take the once-off cash payout, you will receive less money but the upside is that you will get the winnings immediately. In the case of the $1.5 billion Powerball jackpot, each of the three winners took the lump sum and received $327.8 million instead of $500 million. Another cost you will bear and this is important for all big lottery jackpot winners, is hiring lawyers and accountants to protect your interests. So this fee will also have to be deducted from your potential profit. In conclusion, while you can guarantee a lottery jackpot given enough money, it rarely works out in your favour. You will also have to wait for a jackpot to reach billions and even so, as seen with the $1.5 billion Powerball jackpot, so many people all over the world purchased tickets, that 89 per cent of all possible combinations had been purchased. Therefore, it all comes down to that the fact that you should treat the lottery as its intended: a game of chance and not as an investment strategy. Have fun playing the lottery, cross your fingers, hope for the best. Besides, while having fun and knowing you too stand as good a chance as the next person, right here at PlayUSALotteries.com you could also win a VIP trip for two to the F1 Grand Prix in Monaco! The best odds of going on the trip of a lifetime are right here! Every Monaco Grand Prix Raffle ticket has a 1 in 3000 chance of winning! Time is running out and tickets are selling fast. 1 lucky PlayUSALotteries.com player is guaranteed to win! Will it be YOU?